Are you wondering how that mysterious icon ended up on your Android phone's start screen? 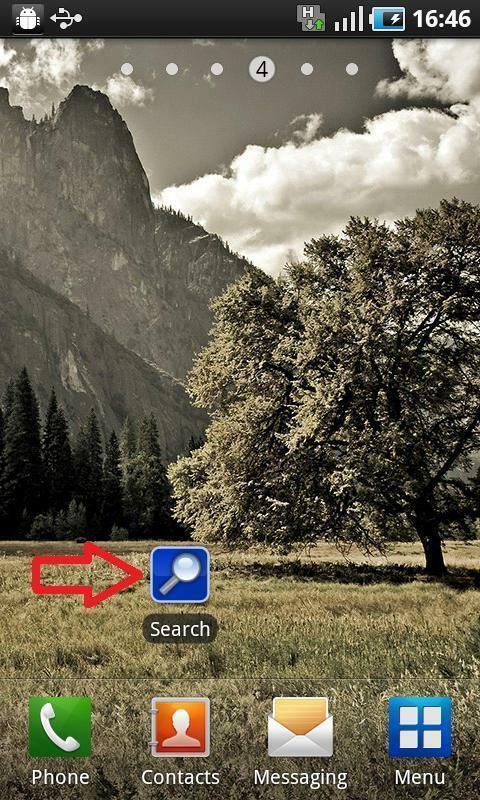 Annoyed at the ads clogging your notification bar? You aren't alone. Thousands of Android apps now include software that shoves marketing icons onto your phone's start screen or pushes advertising into your notification bar--and many of the apps give you no warning about the ad invasion. Many of these ads come from mobile marketing firms such as AirPush, Appenda, LeadBolt, Moolah Media, and StartApp. The companies work with app developers hungry for some way to make money from their smartphone software. By bundling their adware into popular Android programs, these marketing companies say they are now pushing ads to millions of new smartphones each week. Smartphone users generally hate the swarm of marketing on their touchscreens, but the approach is growing fast. One of the companies, AirPush, says 800,000 people a day download an Android app with its adware inside--up from 250,000 just three months ago. It may be next to impossible to completely avoid this kind of advertising on your phone. I looked at dozens of apps that contain ad software and found that few of them disclose that they contain adware. But there are ways to get the ads off your phone, as we'll see below. The mobile ads are called "push notification ads" and "icon ads." Push notification ads deliver small alerts to an Android phone's notification bar. When you swipe to pull down the notification bar from the top of your phone’s screen, a corresponding ad shows up under Notifications. Icon ads, as the name implies, are icons that are inserted onto an Android phone’s start screen. When you touch the icon, it launches a Web page--typically a search engine or Web service. "This is what the Android operating system is all about," says AirPush founder and CEO, Asher Delug. "It has created new marketing opportunities and allowed developers to unlock revenue within the OS." Push Notification Ad send alets to Android phones here. Delug argues that push notification and icon ads are better than in-app ads that distract users while they are doing something with an app, since push and icon ads can be viewed at your convenience. Critics of notification and icon ads say advertisers are confusing consumers. "This is new, and people don't have any clue how or why the ads are showing up on their phones,” says Tim Wyatt, an engineer with Lookout Mobile Security. Lookout says that after mobile malware, push notification ads top the list of gripes their customers have with their phone. A growing chorus of phone owners have been pelting Android user forums with questions such as "how did this spamware get on my phone"? Others have said in forums that they've been so baffled by the ads, they contacted their carrier's tech support. Gripes about icon ads appearing on phones’ start screens are less frequent. Push notification technology, of course, is nothing new and has long been used by app developers such as Facebook and Groupon, which both use it to send updates and deal alerts to their customers. The mobile marketing firms use the same technology to deliver ads. AirPush’s Delug says his company is like a mobile version of DoubleClick, the firm behind many of the ads you see on the Web. "We are the platform," Delug says. "We sell the ads, build the ads, and track the performance of the ads." Why are consumers clueless about the ads popping up on their phones? Because app developers generally don’t talk about them. This Push Ad (next to the green star) did not include an opt-out. As mentioned above, I reviewed Android applications that contain push notification and icon ad technology and found that very few include any disclosure about the adware before installation. Not only does the silence of app makers make it hard to avoid this kind of mobile advertising, it makes it difficult to get rid of the adware once your phone is invaded, since you likely won’t know which app snuck it onto your handset. For example, anyone who has recently installed the extremely popular app called MP3 Music Download Pro also installed adware technology from AirPush. But when I looked at the privacy and security settings provided by Google's Android Market for MP3 Music Download Pro, I saw no disclosure that the app contained the AirPush adware. Nor, once MP3 Music Download Pro is installed on your phone, is there any mention of the AirPush technology in Google's Manage Application settings. Similarly when I installed the Android programs Pocket Girlfriend and Strike Force, the Android Market app descriptions did not mention that the apps include AirPush adware; neither did it say that the apps would place an icon linking to a search engine on your handset's start screen. 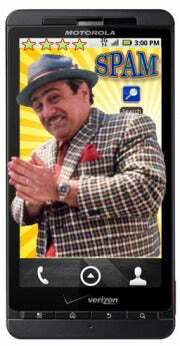 Developers earn money for each icon ad dropped on handsets. When I attempted to contact the developers of Strike Force and MP3 Music Download Pro, I couldn't because no contact information was available. The publisher of Pocket Girlfriend, Atrium Designs, did not reply to repeated requests for an interview. When app maker Hyperkani introduced push notification ads to its Android app, Air Hockey Speed, earlier this year it did not disclose at that time that the app contained adware. "We were afraid that it might affect the download counts negatively," says Janne Honkala, with Hyperkani. After a flood of one-star reviews in the Android Market, Hyperkani says, it removed push notification ads from all its Android apps. Honkala says he thought people understood free apps include ads. "Turned out not to be so with these kinds of ads," he said. On the bright side, when I spotted My Daily Free Amazon App, a shopping program that contains StartApp icon ads, in the Android Market, I saw written notification that ads would be placed on my start screen. The program's description states: " In order to keep the app 100% free, you will receive the following: Search shortcut icon on your home screen; Search shortcut on your bookmarks; and Search Homepage." The app's publisher, Steve Imar, points out in the app's description that shortcuts can be deleted with no impact on the application. In April, Martin Adamek, developer of the app APNdroid, claims his app was temporarily booted from the Android Market by Google after it added push notification ads to 100,000 handsets with his software on it. Adamek says that days after adding push notification functionality to his app, he received a flood of negative feedback from users, which he believes led to Google suspending him from the Android Market. "Google told me many users were reporting my app as malicious or malware-like because of the ads," he says. Adamek says he pulled the ad functionality from his app and appealed to Google to allow him to republish his APNdroid app in the Android Marketplace. According to Adamek, Google agreed within days and said it was looking into the new form of advertising. APNdriod did include disclosure of push ads, says Adamek. But he admits most of his users were prompted to update their existing APNdroid software--already installed on their handsets--via a notification from the Android Market mobile client. When users were told an update to APNdroid was available, it was not disclosed that push notification ad technology would be added. "I made a mistake, learned my lesson, and life goes on," Adamek says. Mobile Marketing Association, a trade group representing advertisers, told me it didn't have any guidelines for push notification ads or icon ads. Representatives from Google's Android Market declined to weigh in on push and icon ads. A Google spokesperson said, "We remove apps that violate our policies," and directed me to the Android Market Developer Program Policies. There is no mention of push or icon ads in that document. In contrast, Apple does offer app store guidelines pertaining to ads. Apple says it will reject apps that use push notifications to send advertising, promotions, or "spammy" messages. The ad companies defend their technology and say that they push developers to tell customers that an app includes adware, but add that they can’t force developers to follow their rules. "There is no way we can completely police what developers do with our technology," says Shawn Scheuer, founder and CEO of Moolah Media. "We provide a tool for them to make money with their app; it's their responsibility provide clear disclosure." Opt-out email address can't be fully seen in this example of an AirPush opt-out. StartApp spokesperson Itay Rokni told me: "We insist that the developer tells his users exactly what they will receive so they won’t be surprised by the new search access point." Rokni says 250 programs in the Android Market contain StartApp's icon ads. During my review of dozens of push notification ads and icon ads from a variety of advertisers, only several times did I receive an opportunity to opt out of receiving ads from AirPush and other advertisers. (See image to the left and "Missed Calls" ad. Opt-out is hidden from full view.) Even then, the opt-out mechanism was hard to spot. On Appenda’s site, you submit your phone number to opt out of receiving push notification ads. AirPush also offers a Web-based opt-out form that requires you to input your phone's IMEI identifying number. (AirPush does not tell you how to find your phone's IMEI number, but the WikiHow website has easy-to-follow steps for doing so.) 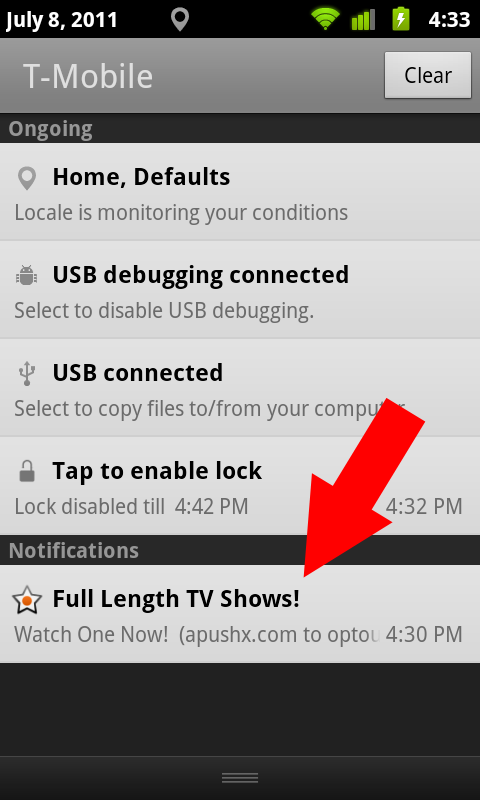 Airpush also offers an Android app called Airpush permanent Opt-out that you can install to stop receiving ads. The Android Market lists a number of apps that promise to detect and remove adware from your Android handset, including AirPush Detector, AdFree Android, and Addons Detector (all three are free). These programs first scan your installed apps and identify the advertising partners in them. The marketing companies maintain that push notification ads are one of the few effective ways for developers to earn money for their apps. "In the Android world, no one is paying for apps," Delug says. According to a Piper Jaffray analysis of Android app sales compared with Apple's iOS app sales, Google's Android Market is estimated to earn a meager 7 percent of the gross revenue of Apple's App Store. According to Delug, an Android app maker can earn $6 to $12 for every 1000 push notification ads delivered to handsets, compared with just 20 cents to $1 for delivery of the same number of mobile banner ads. StartApp's Rokni says developers can earn between $10 and $50 for every 1000 icon ads delivered. Meanwhile, mobile ad companies are becoming more aggressive and their ads harder to avoid. AirPush says about 40 million Android devices worldwide have downloaded an app that contains the company's advertising technology. It claims that technology is currently bundled with 10,000 Android programs.